BROOKLYN, NY – TNTP, a national nonprofit organization dedicated to improving educational quality, today announced plans for CEO Ariela Rozman and President Timothy Daly to step down as part of a long-term growth strategy. Two widely respected TNTP veterans, Daniel Weisberg and Karolyn Belcher, will become the organization’s new leaders by summer 2015. Rozman and Daly have both served at TNTP for 14 years. They assumed their current leadership roles in 2007, after the departure of Michelle Rhee…. Two senior TNTP executives, Daniel Weisberg and Karolyn Belcher, will lead TNTP going forward. Weisberg will become the organization’s CEO, overseeing its executive team. Belcher will report to Weisberg as President, overseeing TNTP’s projects and programs. Belcher’s official title was “VP human resources”; her compensation was $157,530 for a 50-hour work week. In 2008, Belcher’s title changed to “VP of human capital,” still for a 50 hr/wk, at 159,717. In 2009, Belcher was still “human capital” VP, 50 hrs/wk, for $169,427… then $184,414 in 2010. In 2011, Belcher had another title change: executive vice president of talent and operations– and a salary jump to $228,479 for those 50 hrs/wk. Her title changed again, in 2012, to executive vice president of new teacher effectiveness, and her salary rose again, to $239,240. In 2013, in her position as exec VP of new teacher effectiveness, Belcher was compensated $250,821. Belcher’s actual classroom experience is limited to two years as a TFAer, from 1990 to 1992. That is no problem in the corporate reform world, where talent in producing high test scores trumps all. No mention of the test score worship, but it is there… which makes a bit of info about Belcher’s background particularly interesting. 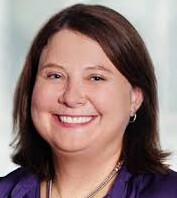 Karolyn Belcher was one of TNTP’s first employees after its founding in 1997. After leaving for several years to found the John A. Reisenbach Charter School, one of the first three charter schools in New York State, she returned to TNTP in 2007. Earlier this year, the Charter Schools Institute released a 75-page negative report recommending its closure. It is based primarily on poor eighth grade state test results from last year. It also cites high teacher turnover and fiscal problems. Karolyn Belcher is Reisenbach’s school director. She admits to shortcomings at the school and has even offered her resignation. She says the school should have been granted a two-year probationary charter. She says the report overlooked many of the school’s assets. It is located in a newly renovated building with 432 students in grades K through 4 and 8. Parents value the close teacher-student relationships and extended school hours to 4 p.m.
Belcher’s statement is interesting given that corporate reform closes traditional public schools in favor of opening charters based on test scores. Yet Belcher says that Reisenbach was more than its scores. A once-heralded Manhattan charter school has gotten such dismal results that state evaluators want it closed down at the end of the year, according to a report released yesterday. The John A. Reisenbach Charter School on W. 117th St., one of the first three charter schools in the state, should not have its five-year charter renewed, SUNY’s Charter School Institute said in a 75-page report. “Classroom instruction has not been and continues not to be sufficiently rigorous to enable students to achieve the school’s academic results,” the report stated. The 432-student school, named for a slain television executive whose family helped found it, saw just 15% of last year’s eighth-graders pass the state reading exam and only 7% pass math, the report states. One of the group’s biggest supporters is Councilwoman Eva Moskowitz. She is the chair for the Education Committee and she actively organizes campaigns to represent families who will suffer from the closure. But enough about charter school stage mother Moskowitz. Let us return to Belcher. Sure enough, Reisenbach closed in 2004. According to Belcher’s Linkedin bio, she landed as TFA induction coordinator in NYC for less than a year before becoming program coordinator of the Klingenstein Center (Teachers College) for the three years before her lucrative ladder-climb at TNTP. In 1977, The Klingenstein Fund established the Joseph Klingenstein Fellowship at Teachers College, Columbia University, the first university based leadership training for those in the independent school field. The Fellowship began with twelve participants and over the years Klingenstein Center offerings have grown to include four programs serving early career teachers, mid-career teachers and administrators and heads of schools. The Center currently has more than 3,500 alumni from 44 states and 23 countries working in schools around the world. Through carefully designed programs that are continuously evaluated and improved, cutting edge knowledge and skills for effective practice and well chosen faculty, the Center has sustained a reputation for developing more informed and better prepared leaders to confront independent and international school challenges and possibilities in a rapidly changing world. So, Klingenstein is a privately-funded, alternative program that offers ed leadership degrees right up the alley of one whose classroom teaching experience involves two years as a TFA temp teacher prior to becoming TFA leadership and then running a shuttered charter school. After graduating from Mount Holyoke College with a degree in Biological Science, Karolyn Belcher joined the charter corps of Teach For America and taught middle school life science in New Orleans, Louisiana. After completing her two year commitment, Karolyn joined the staff of Teach For America and led the pre-service training institute for new corps members. In 1998, Karolyn left Teach For America to help launch The New Teacher Project, a consulting organization that works with districts and states to recruit, select, and train alternative teaching candidates. Karolyn then served as the School Director of the John A. Reisenbach Charter School in Harlem, one of the first three charter schools to open in New York State. She recently earned her masters degree in Private School Leadership at Teachers College, and is currently working on her doctorate. What is a bit confusing is that Belcher’s Linkedin bio notes that she left her TFA institute director job in 1998 and was with the nonprofit that ran Reisenbach, the Learning Project, from 1999 to 2004, the same time that she was school director at Reisenbach. Belcher’s Linkedin bio does not mention TNTP in 1998. Then again, “leaving” TFA for TNTP isn’t necessarily “leaving” TFA. In fact, TFA CEO Kopp even belonged to the Learning Project board. However, it is 2015, and Belcher is in the big time at TNTP, and she’s here to “offer advice and hands-on support” on “strong instructional strategies” not based on a career in the K12 classroom and “supportive school environments” in spite of her former, hidden distinction as the school director of one of the first charter schools to be closed in New York City based on abysmal test scores, high teacher turnover, and financial woes. The TNTP long-term growth strategy. Just like the SAT used to be the Scholastic Achievement Test, but is now just the letters SAT.